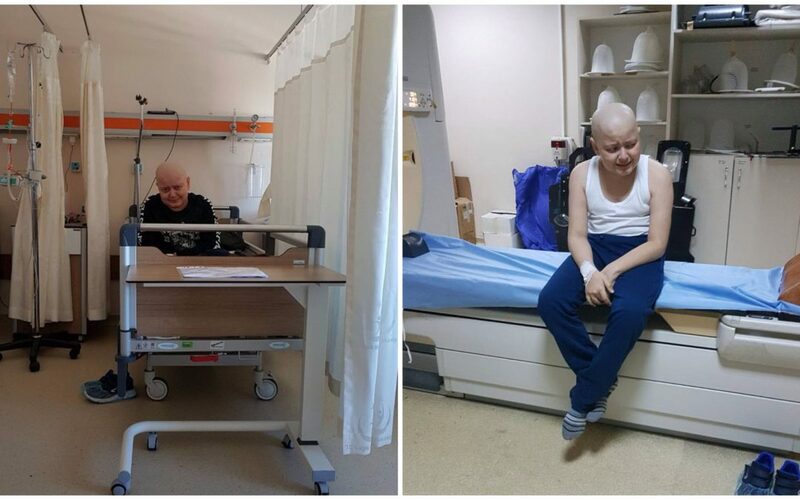 Muhammed Eray Özkul, the 12-year-old son of the Zonguldak-based former police officer Ender Özkul, has been diagnosed with cancer after his father was jailed in Turkish government’s post-coup dragnet. The father worked as a police officer for 15 years until he was suspended on the accusations of having links to the Gulen movement on Sept, 2016 and arrested shortly after over similar grounds. While in jail pending trial, he was completely removed from the job in a government decree in late November, the same year. Following the dismissal, his family was ordered to move out of the state-supported housing meanwhile they were subject to bullying from the other immediate family members due to their alleged ties to the Gulen group. President Recep Tayyip Erdogan blamed the group for the July 15 failed putsch, a claim the movement has denied asking for evidence. Nearly 150,000 have lost their jobs and some 60,000 have been put in pretrial detention over Gulen links so far. Meanwhile, the government has effectively triggered a social discrimination against suspected Gulen followers with Erdogan once having said that Turkish public shall “punish Gulenists in the streets” if they are released from prison. The plight of Ozkul family was revealed only after Omer Faruk Gergerlioglu, a columnist for T24 online news portal and a physican, also dismissed in the government’s post-coup crackdown, mentioned his chat with Mrs. Ozkul in his column on Oct 18. According to Gergerlioglu, the family’s 12-year-old son was diagnosed with lymphoma, a type of blood cancer that emerges when lymphocytes–white blood cells that help protect the body from infection and disease–begin behaving abnormally. “Mr Omer, my son got cancer because of the grief. I know my son very well. He is a very emotional boy. He feels sick at heart for his father. He collapsed,” Oya told Gergerlioglu. Muhammed Eray stopped going to school in March, this year but his teachers allowed him to graduate from 7th grade to the eighth. Once Oya and his two children moved to Istanbul for Muhammed Eray’s treatment, they stopped by the Eyüp District Governorship where they were denied request for help. “Dude, there is no wailing wall here,” mocked an official at the governorship. Fethullahist Terrorist Organization or FETO is a government-coined buzzword to describe the Gulen movement as terrorist, in a reference to the group’s 75-year-old leader, Fethullah Gulen. Gergerlioglu’s column maintained: “It is hard to describe the father’s psychology when he was told about the disease. Twisted in despair, he has lost 21 kilograms since he first heard about it. He has haircut to go bald when his son visits him in prison. He successively requested from the court: ‘Please release me pending trial. I am not about escaping my country for which I served for years. My wife and children need me so much.’ But, the requests always remain unanswered. He appeared before the court for the first time last Friday. At the at the of the hearing where even family members are prevented from attending, the trial was adjourned until the second hearing, scheduled for January. Muhammed Eray has been receiving chemotherapy treatment for 4 months now.